Fife Council Local Authority Fife Councils site , linked into Fife Police , NHS Fife and a wide range of Fife related sites and services. Kingdom of Fife Tourist Board The Official Tourism Website of the Kingdom of Fife. East Neuk Wide East Neuk's Community web site. Anstruther Lifeboat Home of the East Neuk Lifeboat. Isle of May Ferry Trips to the Isle of May. See seals , seabirds and history. Anstruther Golf Club Anstruthers' 9 hole links golf course. 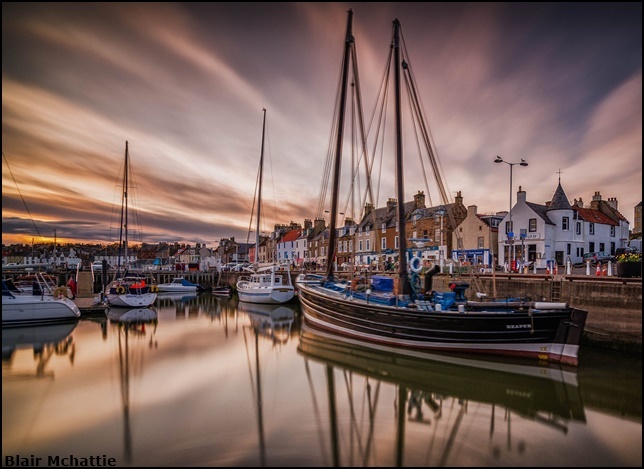 East Neuk Outdoors Outdoor activities including canoeing and wall climbing. Anstruther Sailing Club Local club for all sailing enthusiasts. The Scottish Fisheries Museum A National museum dedicated to the fishing industry. Anstruther Burgh Collection A Historical collection of Anstruther's past. Anstruther Haddies Running club Anster Haddies Running Club take part in a range of running activities including track, road, hill and cross-country with a wide range of abilities. Anstruther Rowing Club St Ayles Rowing club in Anstruther part of a community project allowing people to row for fun and fitness. Fife Coastal Path From Queensferry in the South to the Tay in the North the Fife Coastal path follows the Fife coastline, and this passes through Anstruther.